Jacob Bohmen, thought he could discover the secret of the transmutation of metals in the Bible, and who invented a strange heterogeneous doctrine of mingled alchemy and religion, and founded upon it the sect of the Aurea-crucians. He was born at Gorlitz, in Upper Lusatia, in 1575; and followed, till his thirtieth year, the occupation of a shoemaker. In this obscurity he remained, with the character of a visionary and a man of unsettled mind, until the promulgation of the Rosicrucian philosophy in his part of Germany, toward the year 1607 or 1608. From that time he began to neglect his leather, and buried his brain under the rubbish of metaphysics. 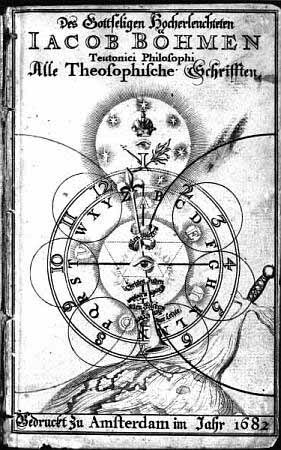 The works of Paracelsus fell into his hands; and these, with the reveries of the Rosicrucians, so completely engrossed his attention that be abandoned his trade altogether, sinking, at the same time, from a state of comparative independence into poverty and destitution. But he was nothing daunted by the miseries and privations of the flesh; his mind was fixed upon the beings of another sphere, and in thought he was already the new apostle of the human race. 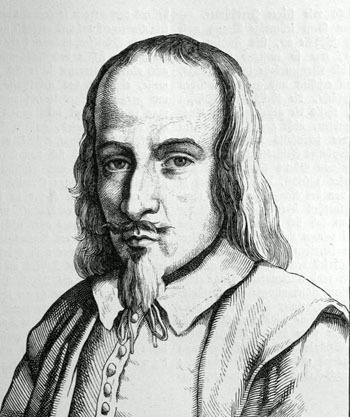 In the year 1612, after a meditation of four years, he published his first work, entitled "Aurora; or, The Rising of the Sun;" embodying the ridiculous notions of Paracelsus, and worse confounding the confusion of that writer. The philosopher's stone might, he contended, be discovered by a diligent search of the Old and New Testaments, and more especially of the Apocalypse, which alone contained all the secrets of alchymy. He contended that the Divine Grace operated by the same rules, and followed the same methods, that the Divine Providence observed in the natural world; and that the minds of men were purged from their vices and corruptions in the very same manner that metals were purified from their dross, namely, by fire. Besides the sylphs, gnomes, undines, and salamanders, he acknowledged various ranks and orders of demons. He pretended to invisibility and absolute chastity. He also said that, if it pleased him, he could abstain for years from meat and drink, and all the necessities of the body. It is needless, however, to pursue his follies any further. He was reprimanded for writing this work by the magistrates of Gorlitz, and commanded to leave the pen alone and stick to his wax, that his family might not become chargeable to the parish. He neglected this good advice, and continued his studies; burning minerals and purifying metals one day, and mystifying the Word of God on the next. He afterwards wrote three other works, as sublimely ridiculous as the first. The one was entitled Metallurgia, and has the slight merit of being the least obscure of his compositions. Another was called The Temporal Mirror of Eternity and the last his Theosophy Revealed, full of allegories and metaphors. Many of them became, during the seventeenth century, as distinguished for absurdity as their master; amongst whom may be mentioned Gifftheil, Wendenhagen, John Jacob Zimmermann, and Abraham Frankenberg. Their heresy rendered them obnoxious to the Church of Rome; and many of them suffered long imprisonment and torture for their faith. One, named Kuhlmann, was burned alive at Moscow, in 1684, on a charge of sorcery. Bohmen's works were translated into English, and published, many years afterwards by an enthusiast, named William Law. Bohmen died in 1624, leaving behind him a considerable number of admiring disciples.